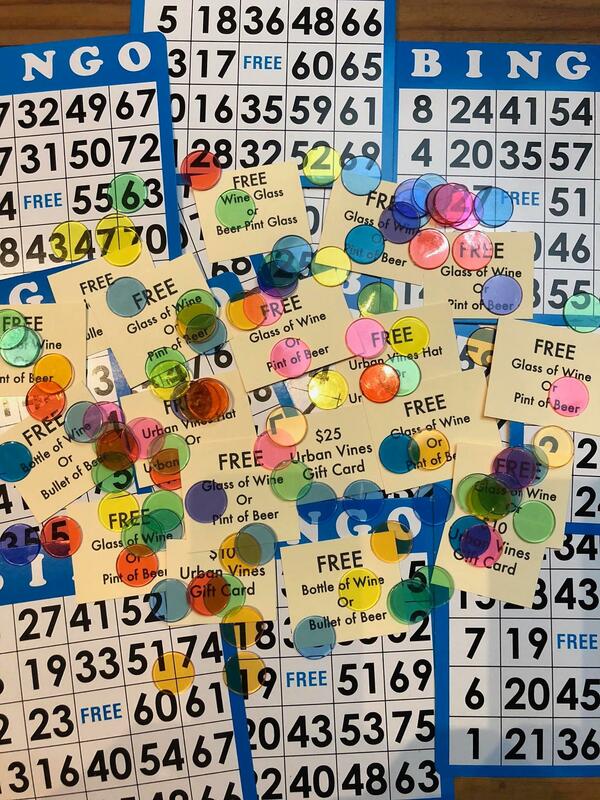 Come play Bingo at Urban Vines. First card is free and additional cards are $2. We will play 20 games or for 2 hours! 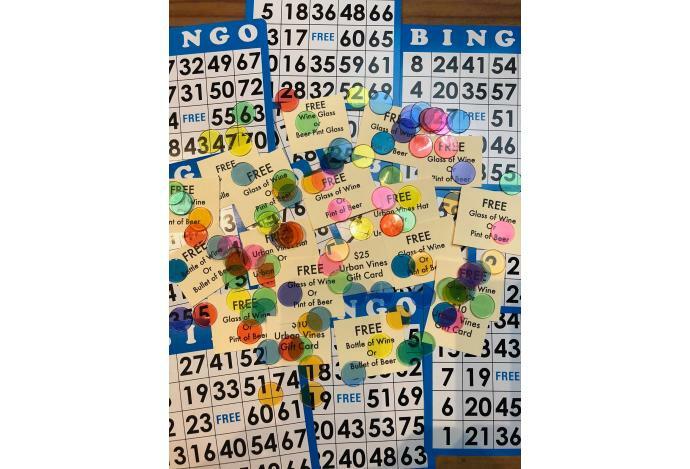 Lots of prizes and fun! We play the 2nd & 4th Thursday of every month!